What is one of the most expensive parts of any remodel? Cabinets, of course! That’s why it’s important to spend a fair amount of time thinking about and picking your cabinets – you’ll be living with them a lot longer than you will with the paint color on your walls. However, picking cabinets can be one of the most fun and rewarding parts of the whole project. Before we get to the cabinets, however, we want to make we have a good sense of the work flow in the kitchen. As a kitchen designer, I find this is one area most folks skip over too quickly. Do you need a centralized workspace, such as an island? Will it fit into the flow? Or just keep you from getting where you need to go? When working with clients, I often suggest drawing up a “work triangle”, which is basically the kitchen area from the refrigerator to the main cooking area to the main sink. This is the heart of your “working” kitchen—where your food preparation, cooking and clean up will take place. We then use computer modeling to flow in the rest of the kitchen and lay out the cabinets and counters. The least expensive option is stock cabinets. This would typically be cabinets that might come from a source such as Home Depot or Lowes. While low in cost, you may be more limited in number of styles and types and sizes. 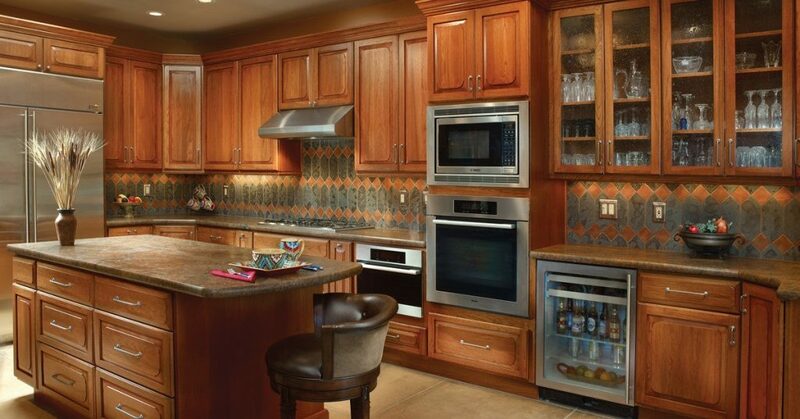 Semi-custom cabinets provide more design flexibility. Since they are built after you place the order, they can take longer to receive, which needs to be built into the remodeling schedule. However, they do offer more styles and sizes than stock cabinets. Usually, they are more expensive, but worth the expense in quality of fit and finish. Custom cabinets are exactly that. Just like having a custom shirt made, they are handmade to fit virtually any standard you require. Obviously, cost is commensurate. But, when it has to be “just so” custom cabinets can be the ticket. Recently at Eren Design we have been working with Wellborn Cabinets and have been very pleased with the results. These hand crafted cabinets come in a range of colors, styles, and pricing. Wellborn is unusual in that they have their own sawmill, which allows them to really control timber quality – the foundation of a long lasting cabinet. If you have any questions about cabinet design, give me a call at 520-885-2500 or shoot me an email at Kelly@erendesign.com. Next time, we’ll talk about countertops!